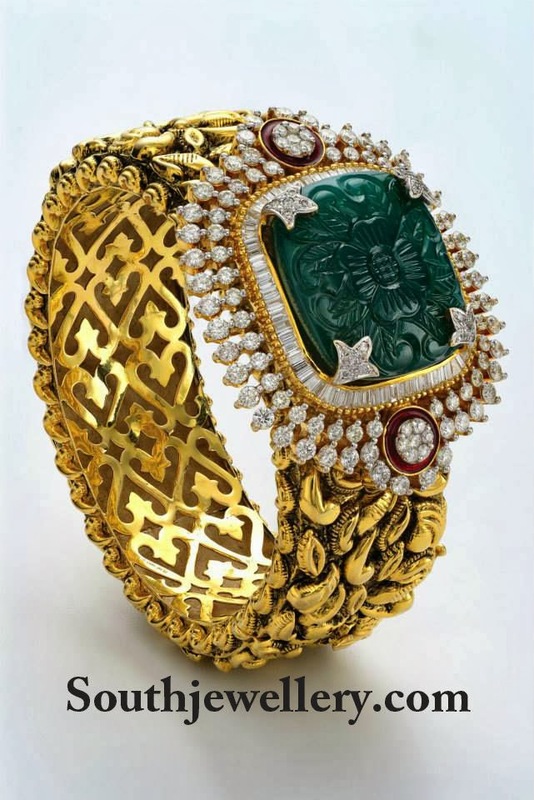 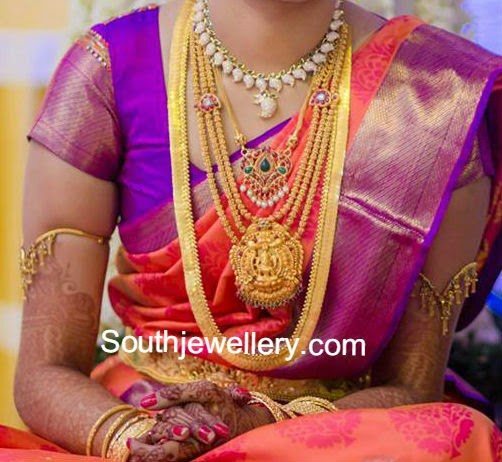 Telugu bride Hasini Boinipally in diamond emerald jewellery. 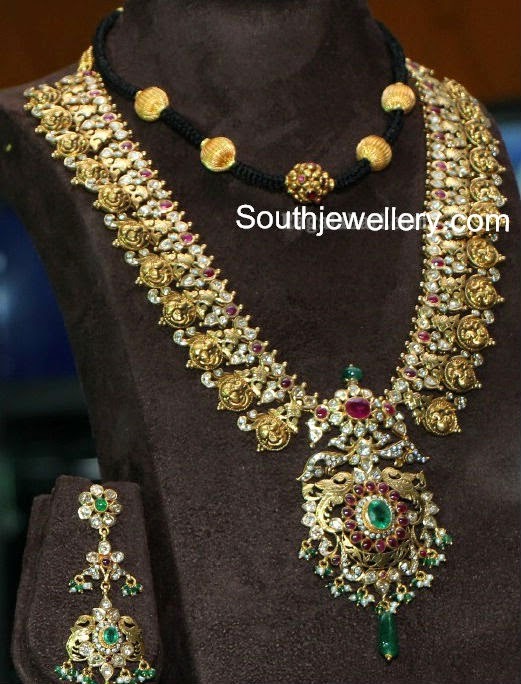 She adorned a diamond emerald necklace, diamond emerald long haram, diamond emerald vaddanam paired with diamond jhumkis and tikka. 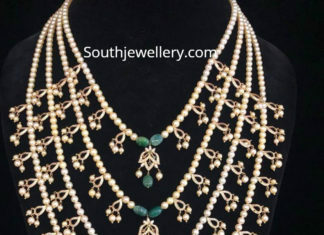 Layered satlada pearl necklace adorned with pearls, emerald beads and cz stone motifs.